Large 2 Bed Condo 90sqm with double balcony featuring Great Views &amp; Conveniently Located in the heart of ChiangMai near to Nimman, Maya mall and Old Town. Suitable for Solo travellers, working professionals, Family and Group travellers. Free Wifi &amp; Pool. There is also a professional Gym in the Building for some membership fee. We currently have this Large one bedroom Apartment (90sqm) with two beds and also double balcony available at Hillside Condo (Huay Keaw) near to Nimmanhaemin Area . Each Balcony views over famous Doi Suthep mountains. Located in a very Convenient Location. 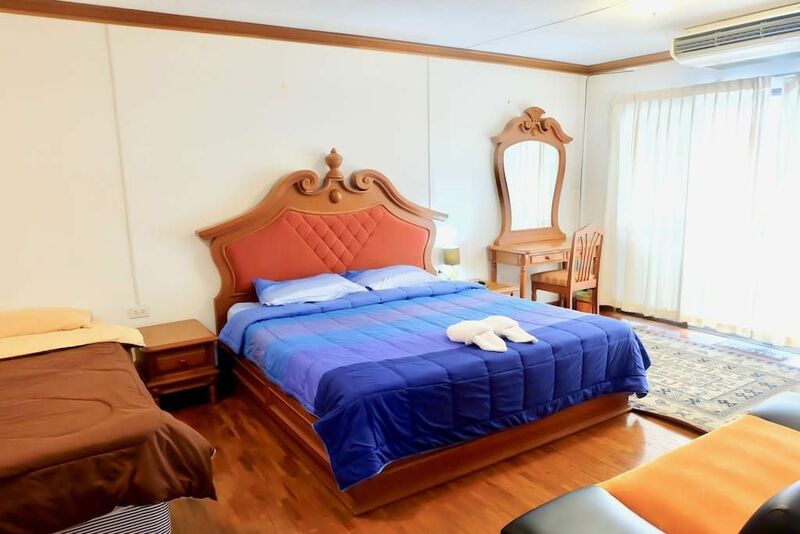 Facilities Include: Air Conditioning, Unlimited 35 mbps private WIFI, Free Parking, Hot &amp; Cold Shower, Cable TV with 40 international Channels, Free Drinking Water, Toiletries, Kitchenette with Microwave, hot plate, fridge, toaster, hot water kettle. Building Facility Includes GYM, Swimming pool, Laundry, Restaurants, Massage, Mini Mart. Guest have access to everything in the room. Air Conditioning, Unlimited 35 mbps private WIFI, Parking, Fresh towels, Cable TV with 40 international Channels, Drinking Water, Fridge, Toiletries, kitchenette. Have access to outdoor Swimming pool. Laundry, Spa and other services. There is also a Professional Gym in the building as well for some Membership Fee. For Check in i have a friend who lives in the same building so he will help you get in the room when i am not around. Anything you need any time just text me on ------- and i will get back to you as soon possible. Incase of emergency you can go to the Reception. I can provide you basic information about Chiangmai and of course, a useful recommendation of where to eat, shop or travel. Chiang Mai Province is the hub of Thailand's northern region, as well as the largest and culturally most important city of the north. It is located in the valley of Ping River and amidst the highest mountains in the country, which result in low temperatures during the cool season in comparison to other parts of Thailand. Its abundance of natural resources brings about several spectacular tourist destinations. Chiang Mai offers a rich and indigenous culture with diverse cuisine, handicrafts, festivals and architecture. In addition to its many attractions, it is a vibrant and modern city. You will never get bored when travelling in the province as there is a great diversity of things to do, including a lot of shopping opportunity.